Following the great success of the Christmas trees fundraising event back in 2014, it was decided to do a similar event in 2017. 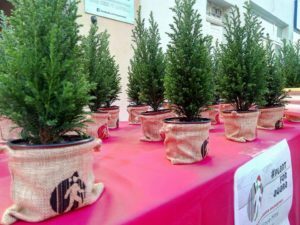 Over 2000 Christmas trees were sold through this fundraising event. We attended different Christmas markets held between the last weekend of November and the first two weeks of December where we sold a substantial amount. The biggest amount of Christmas trees was sold through different companies, schools, and offices. All of the funds collected went for our day-to-day running as well as to continue different projects around the world.